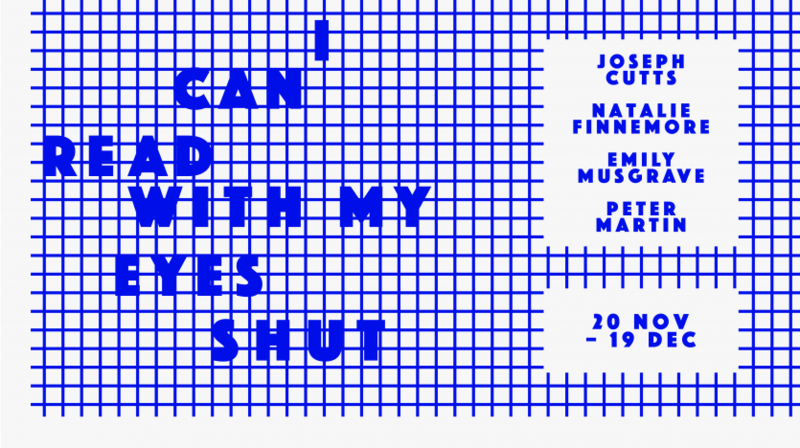 S1 Artspace is pleased to present I Can Read With My Eyes Shut; an exhibition of new commissioned work by four artists based at S1 Artspace. In 2009, S1 Artspace established its Bursary Programme to support new graduates in their first year of professional practice. The four artists presented in I Can Read With My Eyes Shut were among the first selected and have since continued to develop their practice within the fold of S1.